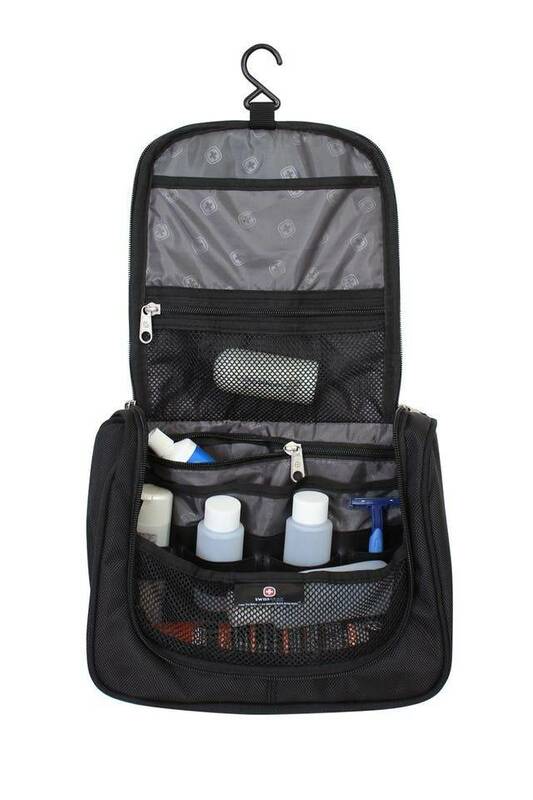 Easily store your toiletries in the SIWSSGEAR 1092 Hanging Toiletry Kit. 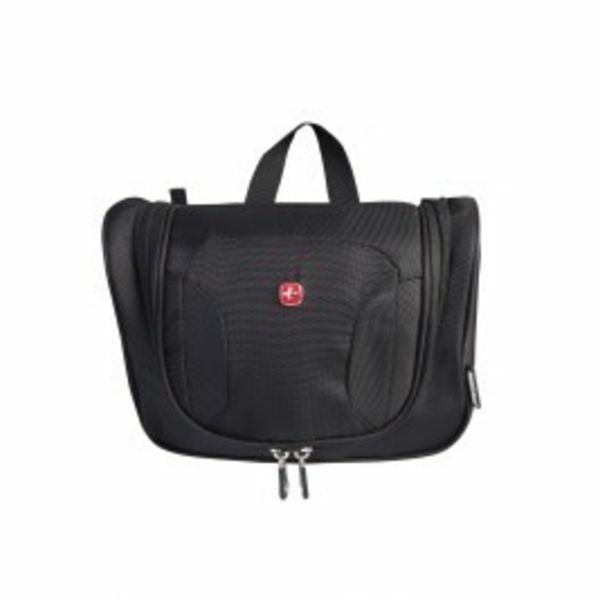 Made of 1680D polyester, this case features a built-in hanger hook that keeps things dry and within reach. Main compartment features two zippered pockets, two large slip pockets, two side bottle pockets, and an integrated elastic strap system to secure bottles and other items in place while in transit. 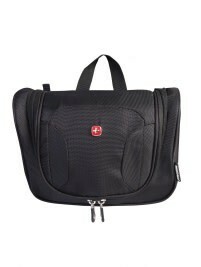 A webbing top handle on this case provides another option to hold the dopp kit.